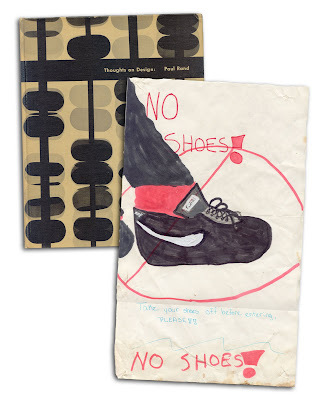 Found in "Thoughts on Design" by Paul Rand. Published by Wittenborn Schultz, 1951. I'm guessing from the shoe design that the bookmark is actually quite recent (isn't that a swoosh?) -- this book must be a classic.